Types of Paris in the 17th century. 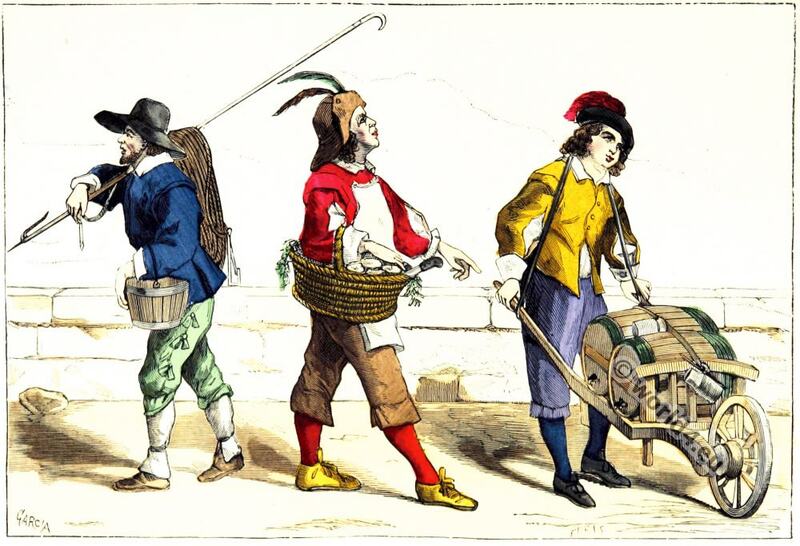 Home » Types of Paris in the 17th century. Types of Paris. Prosecutor. Seller of oysters. Merchant vinegar. Types of Paris in the 17th century. Baroque era. Prosecutor. Seller of oysters. Merchant of vinegar. Reign of Louis XIII, son of Henry IV and Marie de Medici. From the types of Paris. Cureur de puits. Vendeur d’Huitres. Marchand de Vinaigre. Règne de Louis XIII, fils de Henri IV et de Marie de Médicis. Tirés des types de Paris. Reigns of Henri IV. and Louis XIII. 1589 to 1643. Reign of Louis XV. 1715 to 1774. The Corset and the Crinolin. This entry was posted in 17th Century, Ancien Régime, Baroque, France and tagged Baroque era, Paris à travers les siècles on 8/10/15 by world4.